Pop Culture March 13, 2015 / By Todd B Kashdan Ph.D.
Why heavy metal and classical fans may be more alike than they think. When traveling, I purposely listen to a particular album or artist so that the memories become sticky: In Israel, in the midst of a downpour, I tackled the Ramparts Walk, circling above the old city to the sounds of "Explosions in The Sky." In Kuwait, I escaped into the desert for a private swim in the Arabian Gulf to the sounds of Rob Dickinson's soft version of "Black Metallic" (as opposed to this one, with the killer switch at 5:05). — INXS, "Never Tear Us Apart"
The average American listens to music more than 5 hours per day. There are hundreds of magazines, thousands of blogs, pages in nearly every daily newspaper, and dozens of television shows devoted to music. With all this in mind, I am amazed at the small number of studies on what leads to our musical preferences and how they influence our thoughts, feelings, and behavior. I'm fully aware of the large body of research on music therapy in adults and youth—but I am thinking of a basic understanding of musical preferences, and how people take advantage of their powerful effect on our mood. You would think there would be more research, because, as a leisure activity, people rate listening to music as more important than movies (78 points on a 100-point scale, versus 60), books and magazines (55), TV (50), clothes (62) and food preferences (65). In a dream world, psychologists would spend more time studying what people cared about. Sophisticated (avant-garde classical, anyone?). These sounds tend to be instrumental, complex, inspiring, intelligent. The best match is classical or marching band. Unpretentious (some nice, simple, bluegrass or country rock?). These sounds are a bit relaxing, romantic, and even sad. Best characterized by new or mainstream country. Intense (shredded vocal chords or the most violent guitarist of all time?). This is the only category in which distorted, electric, fast, loud, aggressive sounds are appreciated. Think punk rock and heavy metal. Mellow (slow acid jazz to cool down? Or do you use Shazam in the elevator?). Very relaxing and romantic sounds, sometimes sad. Best characterized by R&B, soul, and soft rock. Contemporary. Electric sounds dominate a wide variety of genres from rap to electronica. What are the personality attributes of people with these different preferences? If you are a fan of Sophisticated or Intense music, you tend to be very high on Openness to Experience—curious, creative, welcoming of new perspectives—and politically liberal; the difference is that people who prefer Sophisticated music tend to be docile in social interactions whereas people that prefer Intense music tend to be dominant with an impulsive communication style (what we might call "blirtatiousness"). Of all the musical preferences, those who like Intense music tend to be the least Conscientious—spontaneous, disorganized, lacking in self-restraint. If you are into Unpretentious music, you might be extremely Agreeable and kind (among other interpersonal virtues) and conscientious (i.e., self-disciplined), and show a slight uptick in Extraversion and politically conservative views, but may also be a bit close-minded—incurious, less creative, disinterest in exploring feelings, values, and dreams). If you are into Contemporary music, you show a slight uptick in Extraversion and Agreeableness, politically liberal views, and blirtatiousness, but may tend to be inconspicuous in social situations. If you are into Mellow music, you are probably high on Openness to Experience. When people think of musical choices, the first thing that comes to mind is emotions. So you might be surprised to learn that a person's musical preference has no clear link to emotional stability, self-esteem, anxiety, or depressive symptoms. 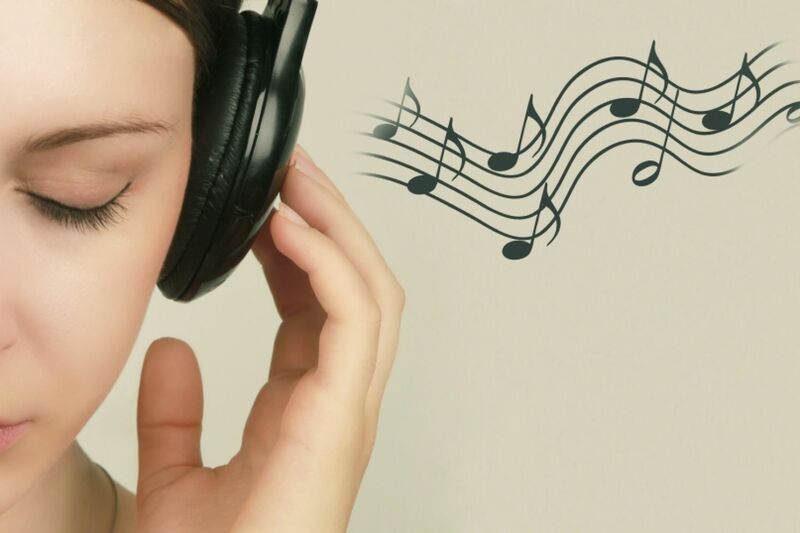 Researchers have looked into whether people who experience frequent, intense negative emotions show particular musical tastes, but how you tend to feel on a regular basis is probably less important than how you feel or want to feel on a given day. What we know is that some people have a firm grasp on how music can influence their mood and strategically wield music like a weapon to feel angry, sad, or calm in an upcoming situation. For instance, listening to Intense, violent music works great before lifting weights or taking part in a confrontation (this song just doesn't cut it). When you are intelligent about music, you gain a simple toolbox to ease the rough, uncertain terrain of other people. Music is important to people—for most of us, there is no activity that occupies a greater proportion of waking hours. And as a tool to alter our mood, almost nothing (legal) works as fast. It's time to better understand our musical preferences, how our identity has been shaped by music, and how our everyday life can be enhanced by the right music at the right dose in the right situation. If music is going to be the backdrop of our existence, let's be intentional, enjoy the moment, and savor it again at a later date. For a great review of the science: Rentfrow, P. J. (2012). The role of music in everyday life: Current directions in the social psychology of music. Social and Personality Psychology Compass, 6(5), 402-416. More about Todd B Kashdan Ph.D.